If you have the opportunity to travel business class long-haul which airline should you choose? 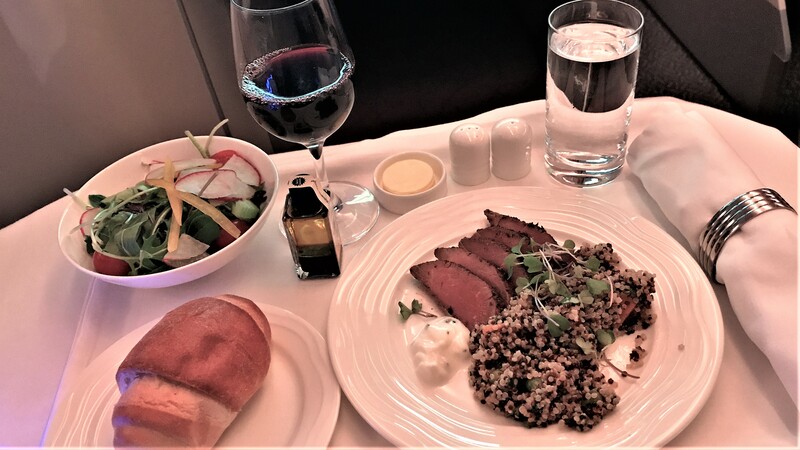 My most recent flights to Europe were on Air New Zealand through Los Angeles to London, and Emirates via Dubai to Madrid, so lets compare the two and see which you should fly? Flying out of Auckland to Europe there are a few options to choose from. You can either travel through the USA flying Air New Zealand or United, through Asia flying Singapore Airlines, Cathay Pacific, or Thai Airways, or through the middle east on either Emirates or Etihad. There are several factors to consider when making the choice: Price, directness of the route being traveled, the plane itself including comfort of the flight, safety reputation, quality of the lounges and last but certainly not least the frequent flyer loyalty program. So far, Air New Zealand and Emirates have made the top 2 on the list for these reasons. So if you had to choose between the 2 lets break down the pro’s and con’s. The only destination for Air New Zealand in Europe is London (Heathrow). The flight has a lay over in Los Angeles. Each sector is 12-13 hours, for a 25-26 hour total flight time. You can fly to Asia on Air New Zealand, and then code share with another airline the rest of the way to Europe, but you won’t get the Air New Zealand product the whole way. If you want to go anywhere else in Europe, it is an extra flight from London. Emirates flies direct from Auckland to Dubai (which is their main hub) and then onto all the main centers in Europe. The flight from Auckland to Dubai is one of the longest flights in the world and takes a bit over 17 hours. The Dubai – European city sector is much shorter and usually 6-8 hours depending on destination, but the overall flight time if the destination is London is similar. If London is your destination, then either airline and their most direct route is fine, but anywhere else in Europe and Emirates is the fastest option with the fewest lay overs. The price estimates off peak for the most direct route described previously, and not on special are $NZ 12,500 (approx US$ 8,800) for Air New Zealand and $NZ 11,150 (approx US$ 7,860). On specials, both airlines do better deals – but depending on demand that can be hit and miss. Price conversion is based on exchange rates at the end of Dec 2017. Overall, Emirates tend to have slightly cheaper prices whenever I have looked. Air New Zealand flies a Boeing 777-300 on the Auckland-Los Angeles-London route. The business premier seats are arranged in a herring bone pattern. Each seat has direct isle access. They are very comfortable seats, and convert to a fully flat 7 foot bed. You are provided with a mattress that goes on top and a nice duvet and 3 pillows. The seat and bed are very comfortable. The in-flight entertainment system is responsive and has plenty of new movies, TV shows and music. The screen size is smaller in comparison to Emirates, but otherwise really good and you get decent noise cancelling headphones. You are greeted with drinks as you board including a glass of ‘bubbles’. Your amenities pack usually contains some socks, toothbrush, tooth paste, moisturizer and some lip balm. Food in recent years has been ‘okay’ but a step down from what it used to be. Overall a very pleasant flight experience. Emirates fly an Airbus A380-800 from Auckland to Dubai direct and then A380’s or 777’s to other destinations in Europe. The 777’s have a slightly newer seat, but you can’t beat the A380’s for overall space and comfort. The whole top level of the plane is business class, except for the very front which has the first class suites. Each seat has direct isle access. The Moet and/or Veuve Clicquot champagne is free flowing from the time you board. There is also plenty of other high end alcohol on offer during the flight. If you are travelling with others, then there is a great bar area at the back of the plane. You can stand around the bar or sit in the bar seating area. This makes a 17 hour flight much more tolerable. The amenities pack is more upmarket – with most of the products being Bulgari including little bottles of perfume or aftershave. The cabin crew are very very multicultural and on the flight I was on, they could speak upwards of 20 languages. The in-flight entertainment system is similar in overall quality to Air New Zealand, but the screen is much bigger. Meals are variable, I had 2 fantastic meals, and 2 distinctly average meals. The 1st class cabin at the front of the plane is a bit more ‘posh’, and you get a slider to separate you from the rest of the cabin for more privacy. First class is more isolated which may not be what you are after if you are travelling with others. You also get to use the shower (the sign says only 2 people at a time)!?! The price jump from business to first is not that big, and if you are willing to splurge or you have traveled business on emirates before then you probably have enough miles to upgrade. Air New Zealand does not have a first class product. Air New Zealand have updated their lounge in Auckland in the last 2 years. It is a very spacious modern lounge with multiple separate areas. It has great food, and plenty of New Zealand wines and other drinks to choose from. If travelling though LA on Air New Zealand, then you get to use the new Star Alliance Lounge in the Tom Bradley terminal of LAX. This is a very nice modern lounge, especially the outdoor section which has gas fires and a great ambiance. The Emirates Lounge in Auckland is more classical, with more ornate decoration and maintains the standard white leather and wooden look. Food is good and they serve Moet or equivalent level champagne in the lounge. If flying the A380 you get your own terminal when you arrive in Dubai. The whole top floor is one massive lounge and you don’t interact with anyone not travelling first or business. You also board the next flight from this top level. Because the ‘lounge’ is so big, it does not really feel like a lounge at all, but it has all your expected luxuries such as free food, drinks, nice seats, nice bathrooms, etc. The queue for a shower can be long, but that was really the only issue. It is hard to comment on the other Emirates lounges in Europe as they did not have one in Madrid and the partner lounge was too crowded so they had stopped letting people in by the time I got there. This one is complicated! Once I started writing this section I realized there was enough information here for a whole new post – click here to read about the loyalty program comparison. Emirates offer a complimentary chauffeur service from you accommodation to the airport and from the airport to your accommodation in all destinations. You can book a taxi through the Air New Zealand website for a fixed prices based on location. Both business class products are excellent. A lot depends on your final destination and whether or not the route you want at the time is on special at the time. 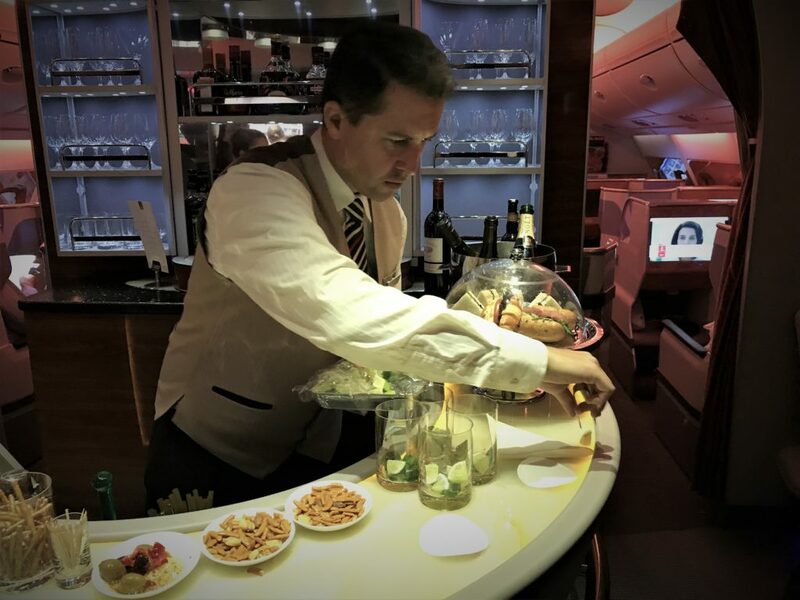 However, overall I would have to say that Emirates wins on the pure luxury of the flight, the better access to more European destinations, the free chauffeur service and usually the lower price point. However the loyalty benefits program may influence your decision, where the benefits of having a higher tier status on one or the other may be important. Read more here to find about the 2 programs. If the loyalty program is not important to you , make sure that when you book you are flying on the A380 to get the best business class long-haul experience. Disclaimer: I have no affiliation with either airline, but fly long-haul on both. I have Elite status on Air New Zealand and Gold status on Emirates Skywards at the time of me writing this post. A very good article. Very precise and to tgethe point. How can i subscribe to your blog please? Thanks for the positive feedback Deep. I have added the subscription settings to the right sidebar. You will need to enter you name and email details and then reconfirm email when you are sent an introductory email to become a subscriber.